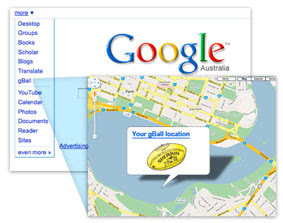 Google Australia have officially announced the launch of the first GPS enabled football. Anyone who buys one of the gBalls will be able to track it on Google Maps. "specially developed Google technology, will be used in all school and amateur competitions - and will go on sale to the public - this weekend." Oh I get it, it's an April fools joke.